Welcome to the Vegosphere: How does a person become a vegan? Noted philosopher Tom Regan observes that animal rights activists can be divided into three distinct categories based on how they arrived at their position. The DaVincians (after Leonardo da Vinci) are people who seem to have been born with an innate sensitivity toward animals. From an early age, they instinctively know that it is wrong to harm, kill, and eat other living beings. Then there are the Damascans (from the story of Paul-the-apostle's conversion on the road to Damascus). These are the folks who, suddenly and profoundly, become transformed by a single event or experience. One minute they're munching happily on a Big Mac, and the next minute they're picketing KFC and joining PETA. Finally, there's the largest group (of which Regan counts himself a member): the Muddlers. People who shuffle along, learning bit by bit as they go. No plan, no agenda. But their minds are open. They take in new information year after year, they ask questions, one insight leads to another, and in doing so their lives undergo an almost imperceptible shift. At one point, they decide to buy Fair Trade coffee. Later on they start participating in Meatless Mondays. And before they quite realize it, they've stopped eating meat altogether and are subscribing to VegNews. My own journey—from carnivore (I wasn't really an omnivore since I detested vegetables) to cheese-loving vegetarian to seitan-scarfing vegan—was a combination of Damascan and Muddler. 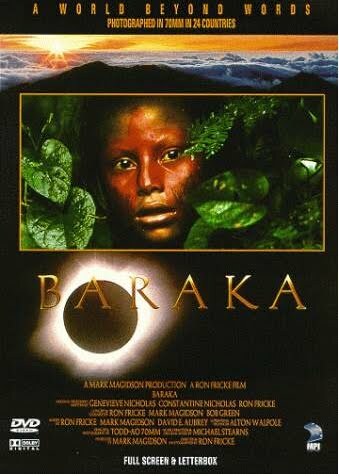 The life-changing event occurred some 15 years ago, when I attended a screening of the wordless, eye-popping documentary film Baraka. As amazing and memorable as the film was as a whole, what flicked a switch in my consciousness was a series of images on baby chicks being "processed." There they were—hundreds of fuzzy yellow, ping pong ball-sized beings, totally innocent and totally alive—having their beaks burnt off, getting tossed down a chute like a piece of trash, helplessly tumbling and landing in a vast, horrific heap. And I thought, Oh my God. Is this what happens? Are people really doing this to these animals just so I can eat a lousy chicken salad sandwich? And at that point I knew I was not going to do it (meaning eat meat) anymore. And for 15 years after that one viewing of Baraka, I muddled along, feeling good about my vegetarian diet, but knowing, deep down, that I was still implicated in others' suffering. The suffering of the "dairy" cow, the suffering of the "laying" hen, the suffering of the male baby chick and his million brothers who, useless for egg production, get stuffed (alive) into giant garbage bags like unwanted styrofoam peanuts and thrown out, with the non-living trash, into dumpsters. And then somewhere along the line, after lots of thinking and education and muddling, something shifted. Unlike the Baraka episode, there was no dramatic turning point, no moment of enlightenment. I can't tell you precisely how long I've been vegan or how I decided to become vegan, because I never actually "decided." I simply became. ...from the compost of our experience.